You are surrounded by hundreds of people as you enter the road closed off on both lanes and guarded by lines of police on a Friday. Instead of the honks of vehicles, you hear coordinated shouts and the blare of speakers. The traffic is on foot, seated on the pavement, and set up in kiosks. It’s both a mobilization, and as the sun sets, the makings of a party. You’re not alone, and not just as the occupant of the giant space. Scattered in the crowd are journalists like you, all looking for images, characters, and soundbites. They began earlier, coming from areas like Taft and Mendiola. When ages, colors, and inclinations intersect in one big park, whose stories do you tell? Previous TOYM awardees honored at a JCI event. Shot by Anjo Bagaoisan. Ninoy Aquino, Manny Pangilinan, Sharon Cuneta, and Hidilyn Diaz are in shared company not just for their fame, but along with nearly 500 other Filipinos, have four letters tagged to their names: TOYM. The Outstanding Young Men (and Women) of the Philippines or TOYM have been recognized by the Junior Chamber International (JCI) or Jaycees since 1959 and the list of honorees reads like a who’s who of any field of interest in the country. For the first time, previous awardees were gathered and honored at a gala night on Saturday to mark not only the 59th year of the TOYM, but also the 70th anniversary of the Jaycees. To some of the awardees, the TOYM is both a privilege and responsibility that grows even after they receive the coveted trophy. While darkness and drizzle covered most of the Manila South Cemetery in the wee hours of All Saints’ Day, these didn’t dampen the spirits of the few people who chose to brave the rains and spend the night beside one grave there. Under a fold-out tent, a group of more than a dozen teenagers laughed sharing jokes and stories with the only two adults with them that night. They were Mon and Ging Munar. Their only son, Joseph, also known as Rap-Rap, was in that grave. They dubbed him Pao because they said his round cheeks made him resemble a siopao bun. 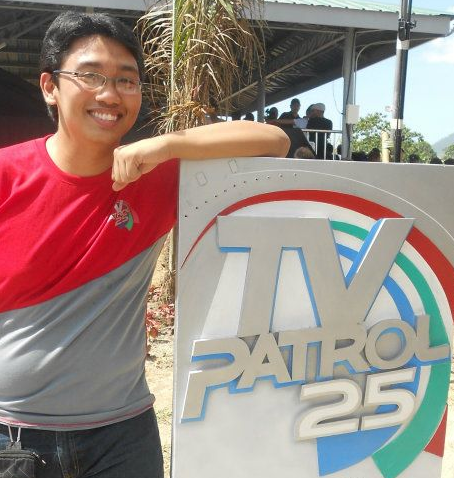 The nickname soon stuck for the baby christened Bryan Jay Agustin. Some called him Pao-Pao. 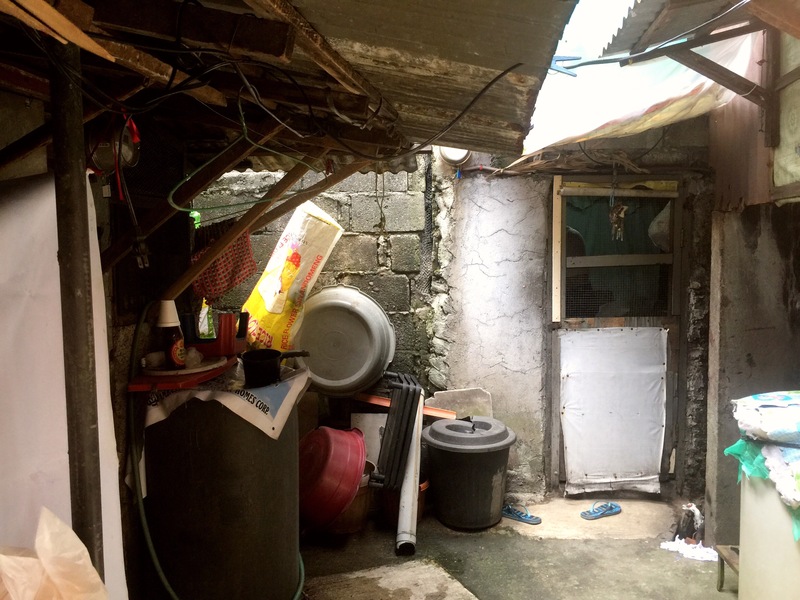 But a few months short of his second birthday, Pao will no longer brighten mornings in this clump of houses at A. Palon Street in Barangay 70, Caloocan City. His loved ones still wonder why this baby had to die, killed for seemingly no reason. How did no one see it coming? Pao had been missing for at least seven hours on July 4. His grandmother Josie, who the baby lived with, searched all around, so did the neighbors. Yet they only found his body before midnight at a canal opening, in a corner a meter in front of Josie’s house. His legs were sticking out of a wrap of clothes. Pao’s mouth and nose had been covered with plastic tape. He was rushed to the hospital, but doctors there said he had already been dead for almost the entire time he was missing. Who could have done it? A CCTV camera gazed at the narrow alley leading from the house to the street. Yet no one was seen leaving with a bag or package that could contain the kid. 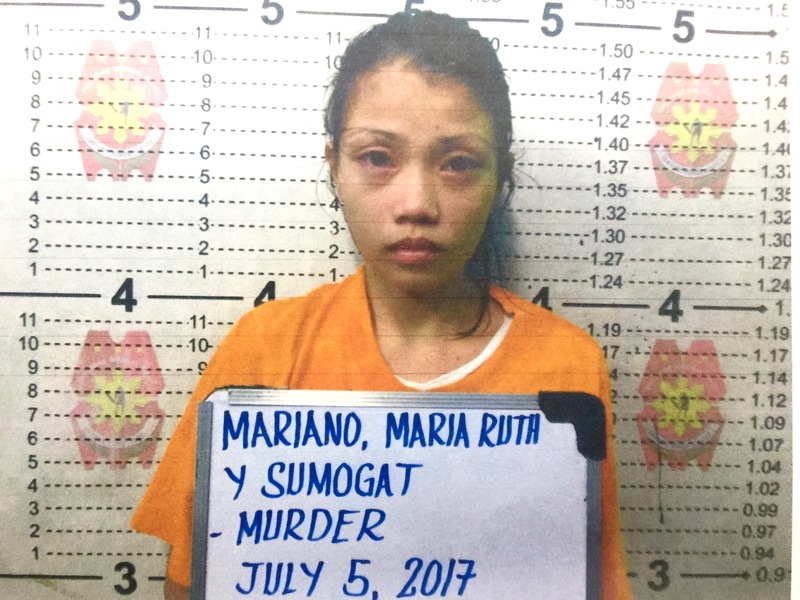 During the search, they asked his aunt, 23-year-old Maria Ruth Mariano, if she saw Pao. She was in the house the whole day. But she denied seeing him. Later after the body was found, a neighbor said she saw Ruth come out of the house under darkness and dump the mass of clothing into the narrow canal beside a neighbor’s house. Confronted, Ruth finally confessed she had killed Pao. “I was using illegal drugs and he was getting on my nerves,” she said in Filipino at the police station later. Ruth said she was about to take a bath then. She lived at the house with Pao’s grandmother and grandfather, Ruth’s husband and her two children. Pao’s crying had irked her, she said. But no one else was around then to take care of him while she was in the bathroom. “So I took him upstairs, rolled scotch tape around his head, wrapped him in clothes and locked him in the cabinet,” she said, breaking into tears. She also told police she heard voices telling her to do it. Ruth only opened the cabinet later that night, after she already told those looking for Pao that she didn’t know where he was. Seeing Pao was no longer breathing, Ruth said she freaked out and took him out of the house. Ruth kept crying at the police station as she recounted her side of the story. “Even if I show regret, even if I want to ask forgiveness from his mother, I know it won’t replace the life that was gone,” she said. Sarra, Pao’s mom, only got to see him in the morgue. She lived in a different house. Pao’s father was in jail. She could not accept her sister-in-law Ruth’s reasons. Turns out, it was not a one-time thing. One of the teenagers who babysat Pao said Ruth had long been mistreating the kid. Another time, the teenager said, Ruth removed a metal bar which held Pao’s cradle. The baby fell and suffered a lump. The teen said Ruth had been jealous of the attention her in-laws were giving to Pao compared to her own children. The suspect meanwhile admitted she had a quarrel with Sarra. The babysitter on Pao: Lagi namin siya nilalamutak. Sarra said she heard the abuse had been going on, but just waited to see it for herself. She also confirmed their fight with her sister-in-law, but clarified Ruth had nothing to be concerned over. Police see in the case a moral of the evils of drug abuse. 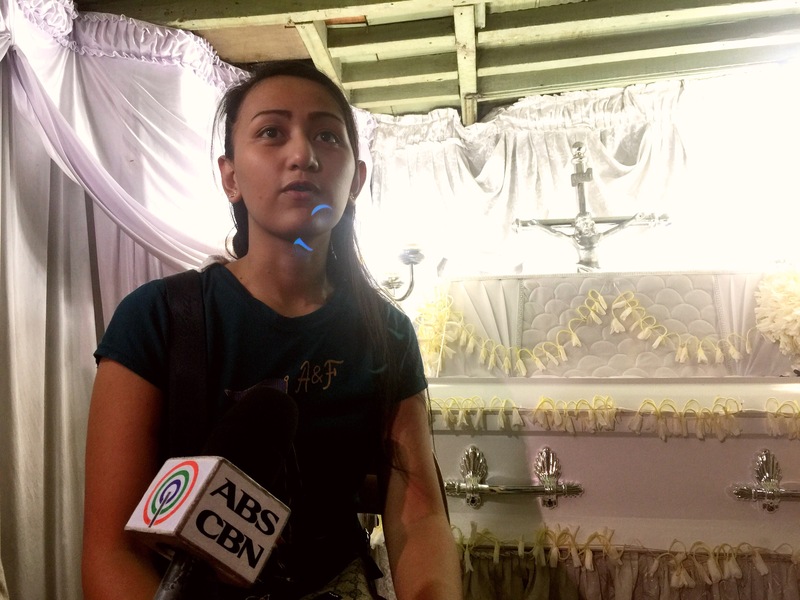 In a media interview regarding the incident, the Caloocan police chief reminded the public not to hide drug dependents in their families and to instead get them help. But the incident also reveals the consequences of letting other kinds of abuse go unchecked. The teenager who saw Ruth mistreat Pao a number of times said he hesitated to speak up or report it to others because he was afraid of what Ruth might do. Only now, he regrets not doing so if it could have prevented a death. 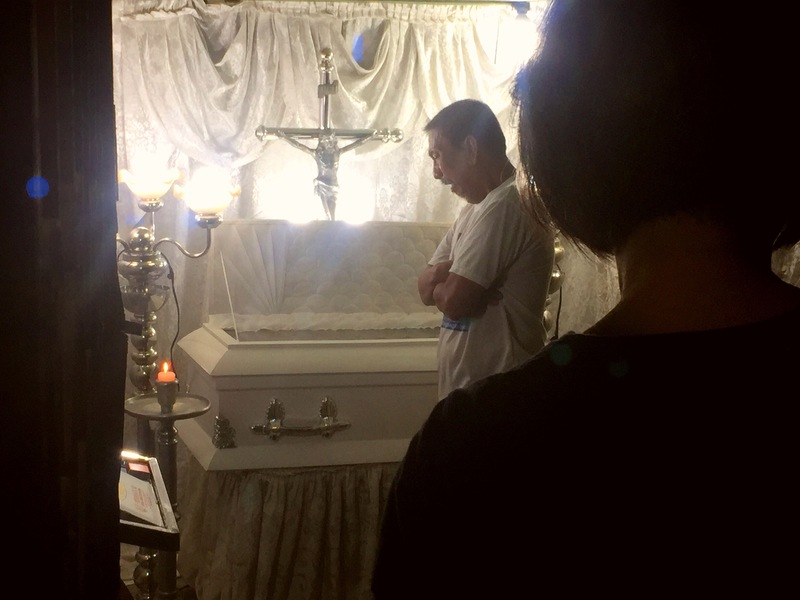 Before dawn the day after Pao was found dead, Domingo, an old man who lived at the house beside Pao’s grandparents woke up and went straight to the kid’s casket at a room in front of their houses. “Sorry, Pao,” he said as he sobbed over the coffin. His wife looked on silently. Domingo’s family also babysat Pao when there was no one at the grandparents’ house. 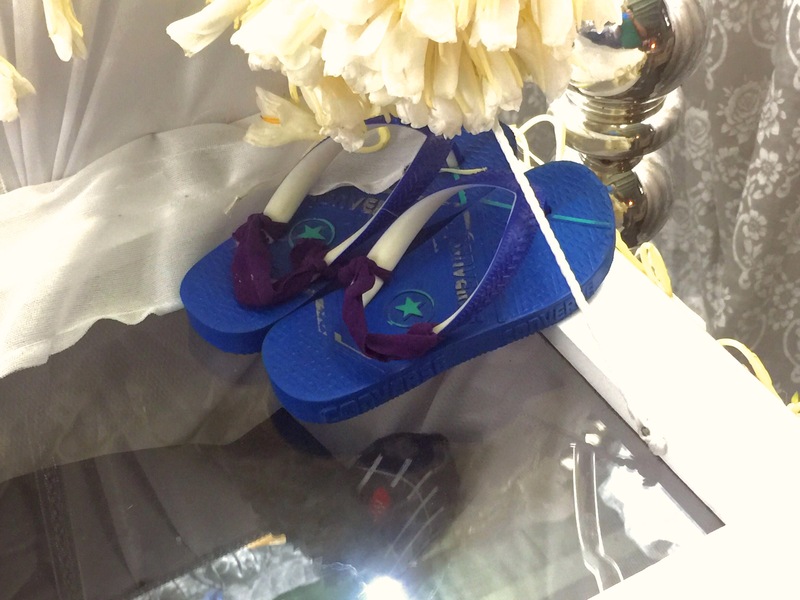 On the glass at the rear end of the coffin sat a pair of small blue slippers. Domingo had added straps to them so that Pao could wear them without falling off his feet. Inside, Pao wore a barong tagalog and slacks. His feet were bare except for blue-and-red printed socks. Loved ones could not hold back tears for the kid who hardly cried and could no longer do so. “It’s difficult for me now. I already lost a child before, now I lost another,” Sarra said of her youngest. 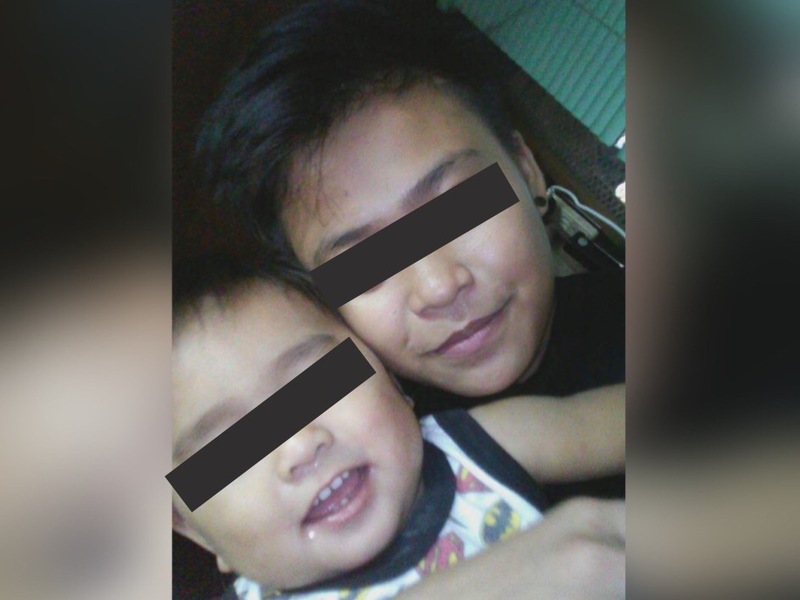 “I miss you Pao, I won’t have anyone’s cheeks to pinch,” his former babysitter said. STA. 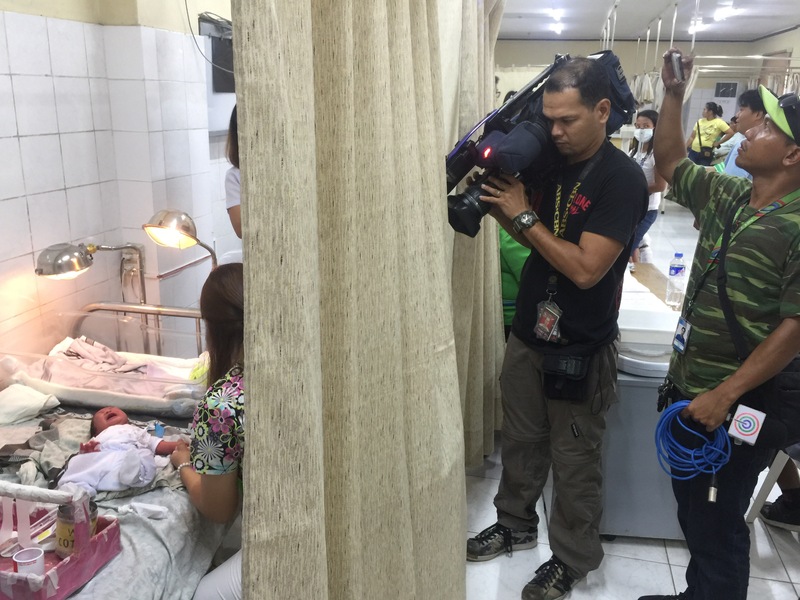 ROSA, LAGUNA— He’s now out of the hospital, but the most recent baby patient of the Sta. Rosa Community Hospital’s emergency room is doing well even without his biological parents. 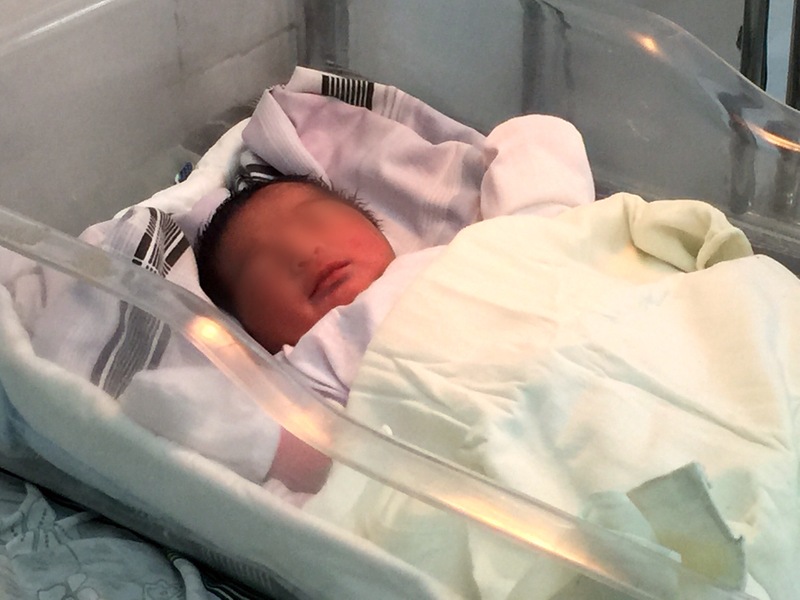 The doctor and nurses on duty described the child they initially named “Baby Boy X” as “well-born”—healthy and born full-term at 3.3 kilograms and 55 centimeters. 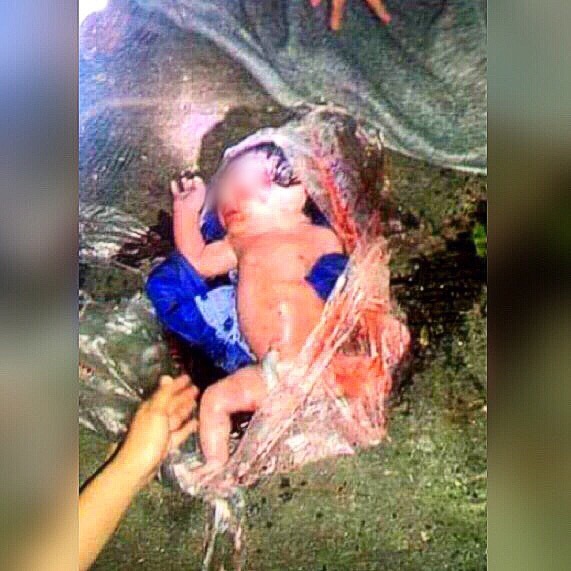 It’s a miracle for them, considering the baby was found inside a plastic bag at a shallow creek in the dark of night. 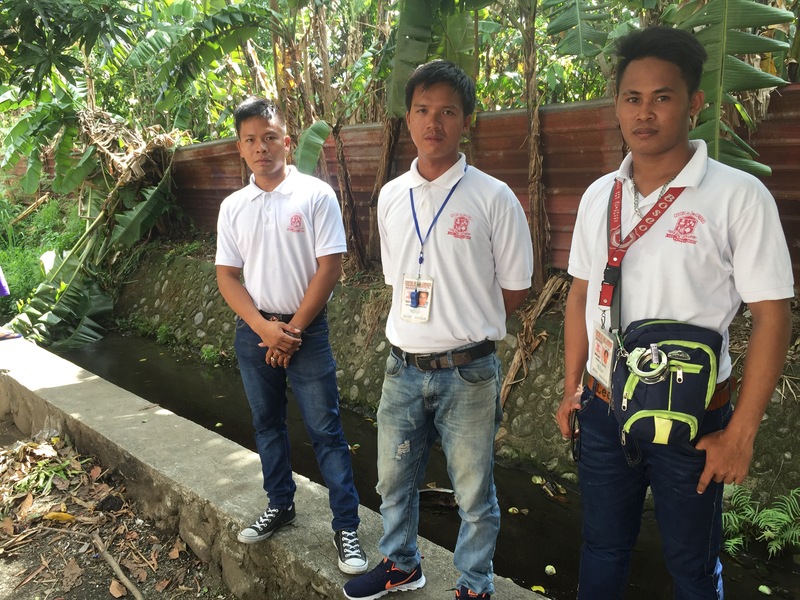 While on their nightly tricycle rounds of Centro de San Lorenzo, a massive local subdivision, volunteer patrollers Romel, Jesse, and Arjay heard a baby’s cries coming from the creek nearly an hour before midnight on Monday. The creek was often a hiding spot for thieves and stolen items, they said. They approached the creek with their flashlights. The three saw a small foot extending from the inside of a transparent plastic bag in the middle of the sluggish waterway. The plastic was similar to those used to pack in fresh meat in supermarkets. “I mistook it at first for a ‘tiyanak’,” Romel said, referring to the mythical Filipino monster which takes the form of a baby. It was unlike anything the young men in their mid-20’s had seen in their couple of years as part of the community brigade. But when they realized it was an actual baby, they jumped onto the water to get it and rushed the baby to the privately owned Sta. Rosa Medical Center within 10 minutes. 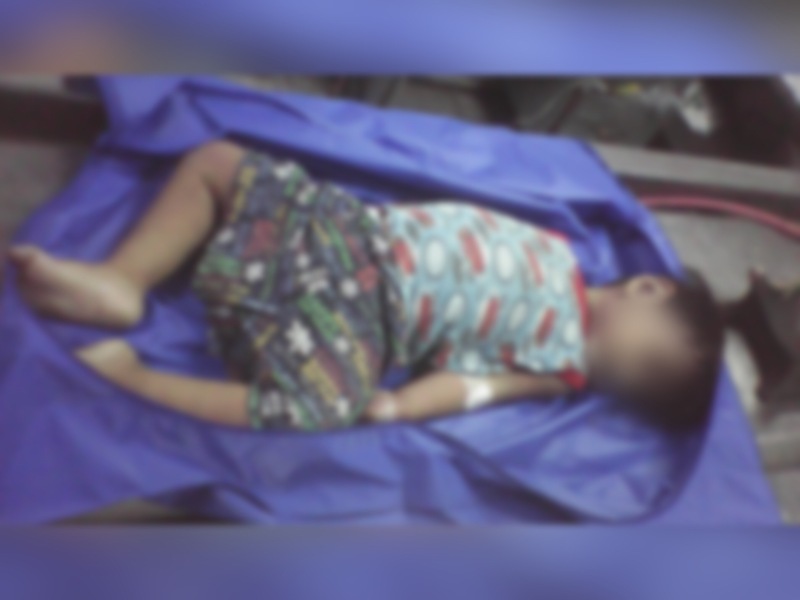 After the staff at the medical center cleaned him up and removed the cord, the baby was moved to the public Community Hospital since he would be under the government‘s custody. While at the ER, he was fed every two hours with breast milk the hospital regularly collects from the mothers in the OB ward. Staff had to give him antibiotics for a urinary tract infection he could have gotten from his mother, as well as to thwart any other infection he may have contracted from the creek. The baby captured many hearts there, including hospital workers who expressed interest in adopting him. “They wanted to adopt because a baby is considered a blessing,” said resident Dr. Michelle De Castro. She said she could not help but feel pity for what happened to him. Sta. Rosa police are prowling local health center records to find out who the baby’s parents are. They said the parents could face criminal charges but still called on them to come out and take responsibility for the baby. But for the city social welfare and development office, even if the mother presents herself, she would not immediately get custody of the child. The baby was moved to the city health office since he could not stay for long inside the community hospital ER because of the risk to his health. “The mother has to be assessed if she has the means and capability to take care of the child. She would have to undergo tests and interviews,” said Glory Belle Agnabo, the local social welfare officer in charge of adoptions. Same goes for others wanting to adopt the child. “The baby cannot just be given to anyone expressing their intention to adopt him. We are mandated to refer the baby to a child caring agency. If no one claims the child as theirs in the next 3 months, the child will then be considered as abandoned. We would next need to declare him legally available for adoption,” Agnabo said. The whole process could take up to 6 months, she said. Prospective parents cannot also choose the child they adopt. The child caring agency the baby ends up in will look after him during that period. He won’t have a legal name until the family that adopts him gives him one and his birth certificate is finally filed. 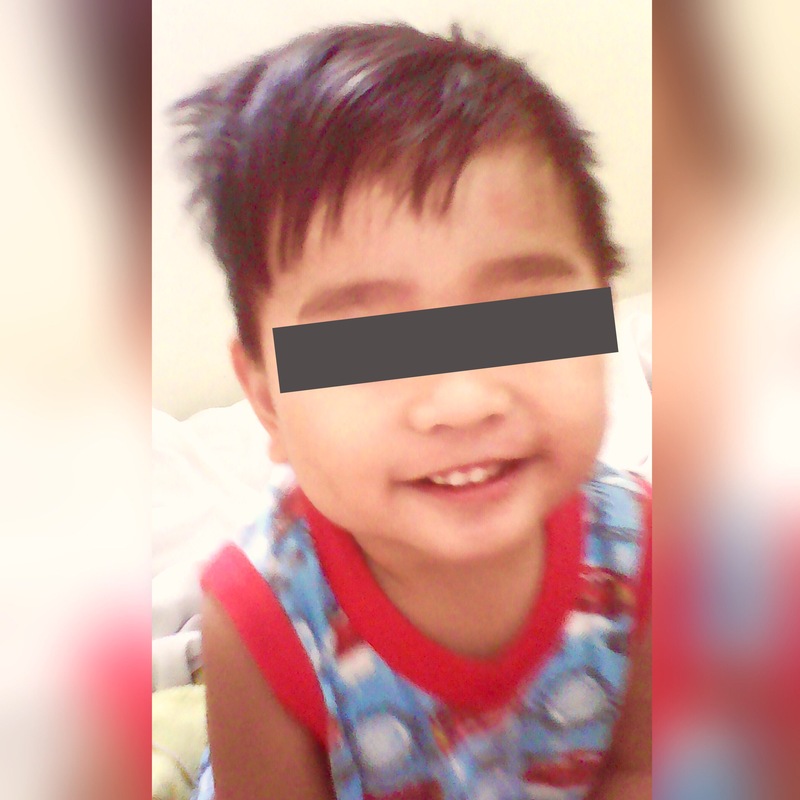 For now, to distinguish the child from other foundlings, the social workers decided to call him Baby Lorenzo, after the place where he was found. P/Supt. 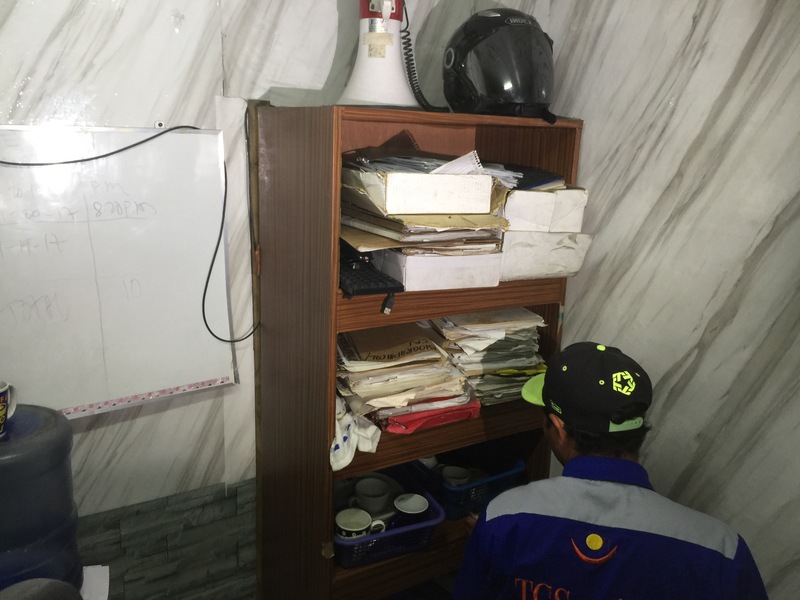 Robert Domingo is no stranger to media workers packing the premises of Manila’s police station 1 in Raxabago Street, Tondo. He’s previously held press conferences at his office–especially to those of the night beat–baring his team’s latest bust or capture. The group of reporters and shooters that swarmed his station at dusk of April 27 would have been no different. This time, though, things were not going the station chief’s way. Atty. Gilbert Boiser, the white-haired, bespectacled director of the Commission on Human Rights’ investigations office was chiding Domingo. While both were nearly the same height, Boiser chose to sit. They were holed up near the door at a corner of the drug enforcement unit’s office at the back of the station. There was hardly room to move. Their point of contention was at the opposite corner of that office, between them and a mass of people way more than the office can comfortably hold, and hidden behind a wooden bookshelf. 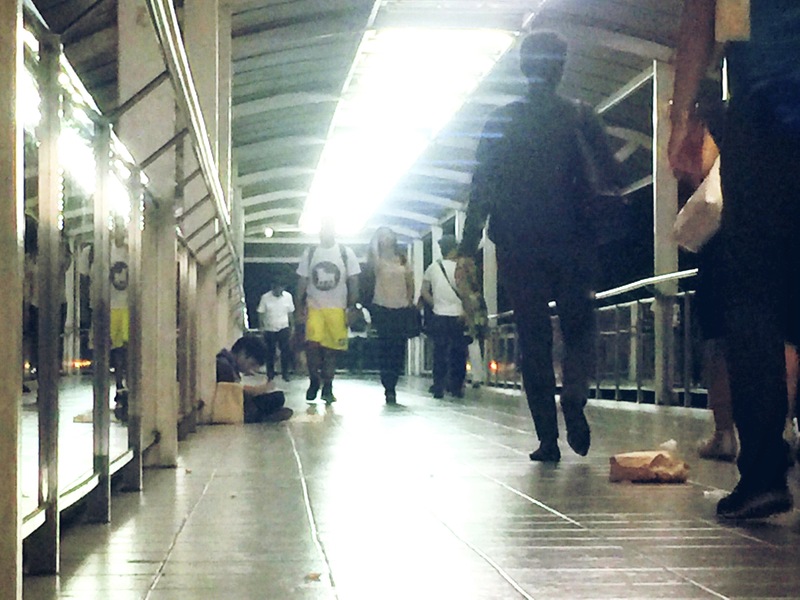 For Marlon Mendoza, a walkway over one of Quezon City’s busiest roads is as good a place to study as a table at home. After his Grade 5 classes at a school in Brgy. San Antonio, the 11-year-old commutes south with his younger brother Melvin, aged 9, and their mother to the area of two big malls in the Q.C. north triangle. Their “mama” Rochelle, 37, brings a lunch-box-sized cooler. In it are roughly a hundred mini-garlands (up to P2,000 worth) of sampaguita flowers commonly worn on Catholic saints and hung on rearview mirrors. The three divide the flowers among themselves and part ways. Rochelle usually sits on a sidewalk in North Avenue. The boys–still in their blue school uniforms and wearing plastic rosaries on their necks–climb up different walkways. 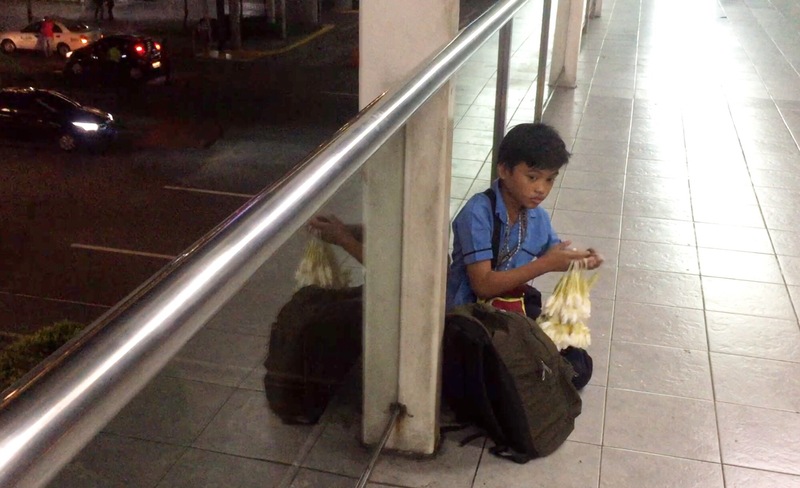 Once Marlon sits on the floor of an overpass along EDSA connecting a mall and a call center, he lays out his share of sampaguitas in front of him, opens his bag and brings out one of his books, a notebook and a pen. Passers-by never fail to glance at the boy finishing his homework while selling his mother’s sampaguitas for his daily allowance. “Sobrang halaga sa akin ‘yon para makapagtapos ako (It’s really important for me so that I can finish my studies),” Marlon says of both elements of his nightly routine. He has gained admirers far more than the number of people who pass him by each night, many of whom are rushing to catch their rides home. 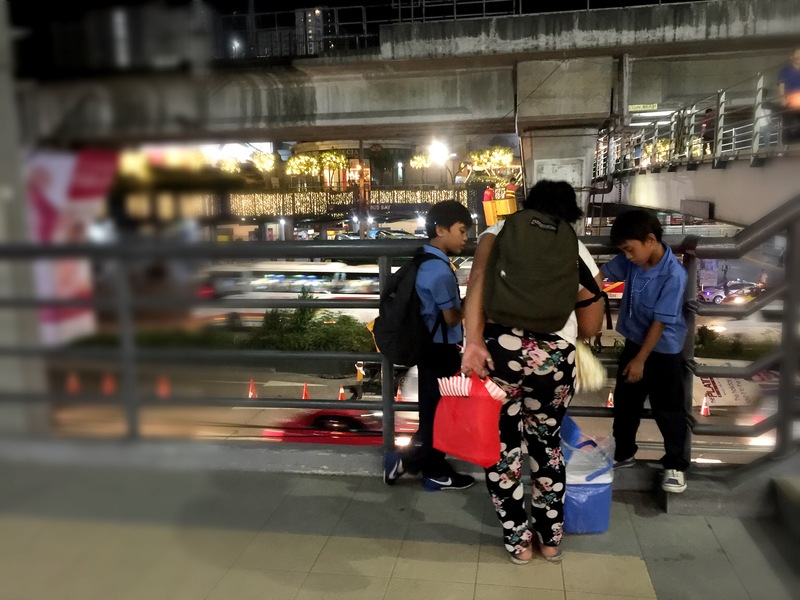 Few know their names, only as the boys hunched over a book on an overpass whose images have inspired thousands on social media. 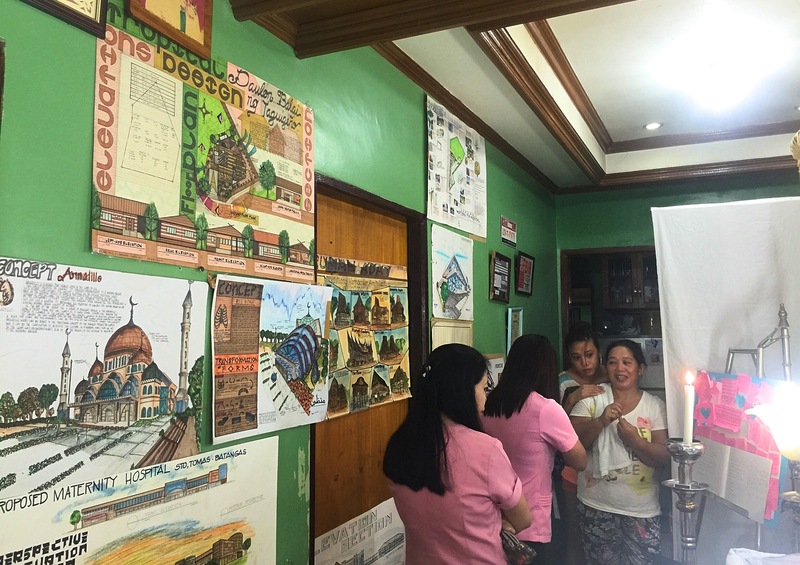 Horizontal sheets of thick poster-sized paper hang top to bottom on one side of the Oniot family’s rectangular living room like the roll of entries to a poster-making contest. On them are colorful drawings of buildings both planned and inspired by real life. Brown is the color that stands out, from studies of tropical huts to a grand mosque. They are the projects, a.k.a. plates, of 3rd year architecture student Nick Russel Oniot. “He would stay up all night doing these. 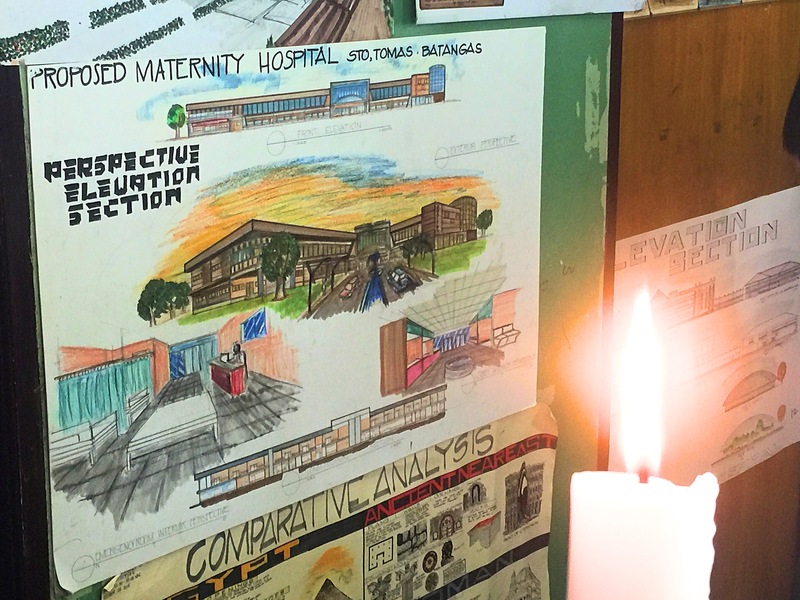 He was happy while he drew them,” said Nick’s father Renato, a civil engineer who would have been an architect if he drew better, he said. Of these plates, Nick’s favorites were a series of floor and facade plans for a maternity hospital. It was the third Oniot sibling’s dream for his older sister, a nurse. But Nick will no longer be there to make sure those drawings become buildings. The plates overlook a coffin on the other end of the living room made narrower by the space it took. 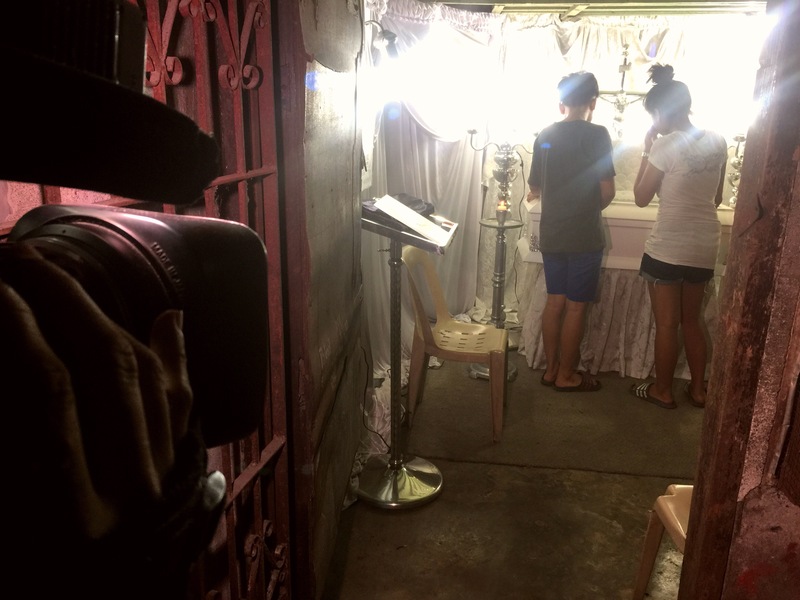 There lies Nick, killed at 18 years old after being robbed and stabbed multiple times on his way home in Barangay Central Signal Village in Taguig City the night of October 14.